The global automotive V2X market was valued at USD 4,870 million in 2017 and is anticipated to grow at a CAGR of 24.1% during the forecast period. Vehicle-to-everything (V2X) encompasses Vehicle-To-Vehicle, Vehicle-To-Infrastructure, Vehicle-To-Cloud, Vehicle-To-Grid, Vehicle-To-Pedestrian, and Vehicle-To-Device among others. V2X is a wireless technology aimed at enabling data exchanges between a vehicle and its surroundings. V2X enables sharing of data such as positions and speeds with surrounding vehicles and infrastructures. V2X technology establishes a reliable radio link based on 5.9 GHz dedicated short-range communications. V2X systems improve driver awareness of upcoming potential dangers while improving collision avoidance, and reducing road accidents. The major driving factors of the automotive V2X market include growing automotive industry, and increasing demand for high end luxury vehicles. The increasing demand for real-time traffic alerts coupled with need for improved road safety supports the market growth. The introduction of government regulations for road & vehicular safety and improved traffic management also boosts the growth of the market. The growing demand of autonomous vehicles, and self-driving vehicles encourages vehicle manufacturers to integrate advanced V2X systems in vehicles. The rising environmental concerns, growing adoption of connected vehicles, and increasing demand of technologically advanced vehicles from countries such as China, U.S, and Western Europe also increases the demand of automotive V2X systems. 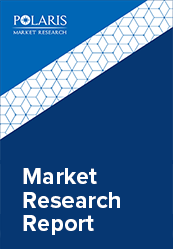 The global automotive V2X market is segmented on the basis of communication type, vehicle type, component, connectivity, and geography. Based on the communication type, the market is segmented into Vehicle-To-Vehicle, Vehicle-To-Infrastructure, Vehicle-To-Cloud, Vehicle-To-Grid, Vehicle-To-Pedestrian, Vehicle-To-Device, and others. Vehicle-to-vehicle accounted for the highest share in the global automotive V2X market in 2017. The increasing need for efficient traffic management, rising incidents of road accidents, and stringent safety regulations drive the growth of this segment. The component segment is categorized into hardware, software, and services. The hardware segment accounted for the highest share in the global automotive V2X market in 2017. On the basis of connectivity, the market is segmented into cellular connectivity, and DSRC connectivity. In 2017, DSRC connectivity dominated the global market. DSRC is a two-way short-to-medium-range wireless communications capability that permits very high data transmission critical in communications-based active safety applications. The vehicle types in the global automotive V2X market include passenger vehicles, and commercial vehicles. Passenger vehicles segment dominated the global market in 2017 owing to rising demand of luxury vehicles, and growing development of autonomous vehicles. Geographically, the automotive V2X market is distributed of the market across North America, Europe, Asia-Pacific, Latin America, and MEA. North America is further segmented into U.S., Canada, and Mexico. Europe is divided into Germany, UK, Italy, France, and Rest of Europe. Asia-Pacific is bifurcated into China, India, Japan, and Rest of Asia-Pacific. Asia-Pacific accounted for the largest share in the global Automotive V2X market in 2017. The primary factors driving market growth in this region include rising demand for luxury automobiles, increasing development of autonomous vehicles, and stringent government regulations regarding vehicular and road safety. The vendors in the market are launching new products to meet the growing customer needs. In addition, the leaders in the market are acquiring and collaborating with top companies in the market to enhance their offerings in the market and expand their customer base. The Automotive V2X market is highly competitive with the presence of a large number of small and large vendors. The leading players in the market include Delphi Automotive PLC, Robert Bosch GmbH, NXP Semiconductors, TomTom International B.V., Cisco Systems, Inc., Continental AG, Infineon Technologies, Harman International, and Cohda Wireless.